Does everyone have wisdom teeth? Do all wisdom teeth cause problems? Do wisdom teeth hurt? Do I need my wisdom tooth out? The conundrum of wisdom teeth and how we still don’t need them. Not everyone has wisdom teeth but the majority of us do. If you’re reading this post, likelihood is, that you are in the 75% that do. To the 25% that don’t, you are not any less wise without them, phew. To us wiz doomed others; it is not all so fantastically bad, modern dentistry has come along way. Putting all the stories and bad jokes aside, did you know that all wisdom teeth do not need to be extracted? They can actually be totally harmless or benign AND even treating bad or impacted wisdom teeth can actually be a pain free experience too? Yes this part is actually true. Modern day dentistry does not have any horrors, thank god. …. Anyone seen my pliers? Most adults have 32 teeth, but do not have enough space in their mouths for 32 teeth. Times have changed, and so has our anatomy. Compared to our ancestors, we have smaller jaws as well as having the advantage of dental health care. Wisdom teeth are the third molars, which usually come through between the ages of 17 and 25. If you have them, you can have 1 to 2 in the upper and or lower jaw. Some people have no problem with their wisdom teeth, other than a bit of discomfort when they come through (lucky them). But, for roughly 60% to 70% of patients, they will have impacted (problematic) wisdom teeth. That doesn’t necessarily mean painful, but “problematic”. Wisdom teeth cause the majority of problems because of where they’re directing. It’s not always up! Now, we won’t get into the crowding debate, it’s a touchy subject in dentistry (do wisdom teeth cause crowding?). But, what we do know is that having no space for them to grow is a problem & causes problems. Again a space issue, this is where a wisdom tooth’s path is obstructed by another tooth. It can hurt but it can not hurt too! An impacted wisdom tooth can have no symptoms and sometimes can only be identified by a dentist through examining x-rays. See right for symptoms of an impacted wisdom tooth. Prolonged headache and or jaw pain. Bad breath or an unpleasant taste in the mouth. Swelling around gums and jaw. Mesial Impaction – This is regarded as the most common type of impaction. This is where the tooth is emerging at a forward angle, toward the front of the mouth. Distal Impaction – Opposite of a mesial impaction, the distal impaction is also at an angle, however, it is tilting towards the back of the mouth. This is the least common type of impacted wisdom tooth. Horizontal Impaction – As the name suggests, this is where the tooth is embedded completely horizontally, running parallel to the jawbone and pushing towards another tooth. This is the most troublesome type of wisdom tooth as it will remain embedded under the gum and also must be removed through an incision in the gum. In some cases, this could result in some bone loss. Vertical Impaction – This could be described as a “normal” orientation, wisdom teeth with a vertical impaction are likely to erupt upwards, like that of other adult teeth. The only problem with a vertically impacted wisdom tooth is space. If there is no space, the tooth can push on the root of another molar in front or the bones at the back of the mouth. Soft tissue Impaction – Here, the wisdom tooth has partially erupted through the gum however is still not fully out of the gum tissue. This can cause infection and inflammation to the gums. This is called pericoronitis. Hard tissue Impaction – This type of impaction can be either full bony or partial bony. A full bony impacted wisdom tooth is a tooth that is still fully encased within the jawbone. When the tooth has partially erupted but is still partially encased in the jawbone this is called a partial bony impacted wisdom tooth. No pain, they can stay! Well, not exactly. Impacted wisdom teeth can have no symptoms but still be impacted, meaning a problem or soon to be problem. If your wisdom teeth are causing you problems or your dentist has identified them as “impacted” then yes, you will need to have them removed. 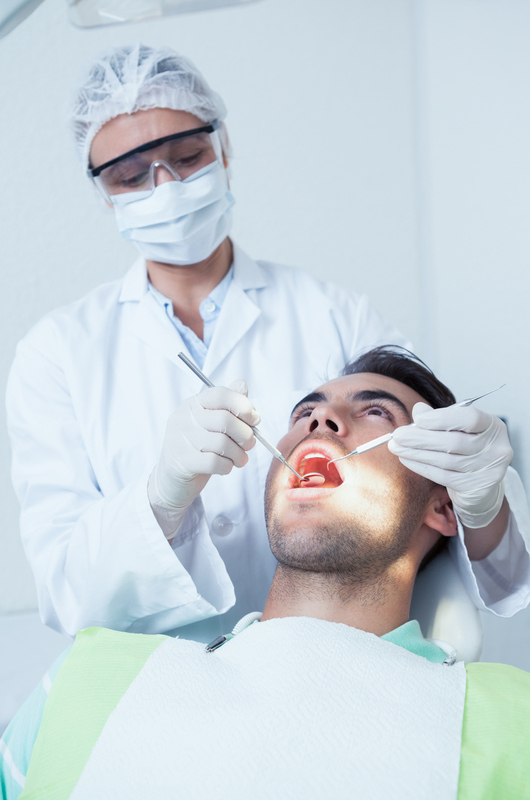 There are a lot of awful stories around wisdom tooth removal, however in modern dentistry, today, expect some discomfort, but this should not be a painful procedure. Make sure that you book in with an experienced dentist or dental surgeon. FULL STOP. This procedure is invasive. If you are particularly anxious or have a phobia of the dentist, additional services such as *sedation* dentistry can be available. The good news is, in some cases wisdom teeth do not need to be removed! If they are positioned correctly in your mouth, if they are not causing you any pain, and are not causing you any dental problems, let it be. But, speak to your dentist; they’ll be able to give you the best advice. For more information on the wisdom tooth removal procedure as well as some aftercare tips, see our article on Getting your wisdom tooth out? All you need to know. Do you have a phobia of the dentist? You’re not alone. We’re here to help.